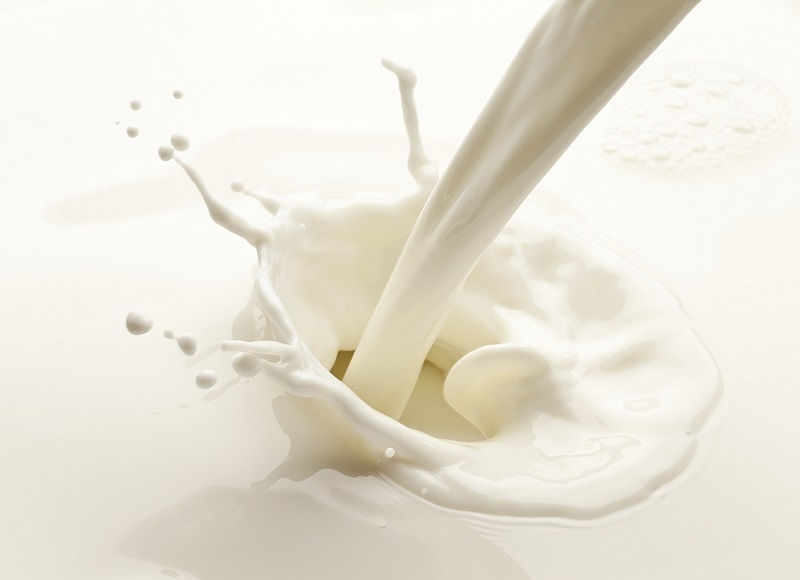 Milk is an important source of calcium in our diets. We call it ‘dietary self-avoidance’, but ‘Dr Google’ may be a more fitting term. We are of course referring to the habit of people excluding food groups from their diet in response to perceived symptoms without first seeking advice from a medical professional. We’ve seen similar habits from Australians with other food groups – you might remember our findings about wheat avoidance. But these latest survey results are of particular concern given the potential health impacts, particularly for women. Dairy foods are rich in a range of nutrients and important for all of us, but lifetime intake of dairy food is especially important for women owing to their higher rate of osteoporosis later in life. However, the study of 1184 Australian adults (undertaken with the University of Adelaide) has found that 1 in 6 are choosing to avoid milk and dairy foods. And around three quarters of them are doing so without medical evidence. The survey found that the vast majority – 74% – of dairy avoiders are making this choice to relieve adverse gastrointestinal symptoms such as cramps, bloating or wind. Far fewer participants cited not liking the taste or because they thought it’s fattening. But most worrying was the revelation that women are more likely to avoid milk and other dairy foods than men. More than three quarters of osteoporosis sufferers are women, and removing dairy foods – which have a high level of calcium, which is essential for bone growth and strength – puts them further at risk. In fact, Osteoporosis Australia recommend 3 serves of dairy food per day in a normal adult diet eg: glass of milk (250 ml), tub of yoghurt (200 g), or a slice of cheese (40 g). We also found that younger adults and people who tend to worry about illness or becoming ill were also more likely to restrict this food group. An important finding is that only approximately a quarter of the symptomatic avoiders reported having a formal diagnosis that required them to avoid dairy. Some of these formal diagnoses included lactose intolerance, high cholesterol, asthma, allergy and diabetes. It is interesting that the decision to avoid some or all dairy foods was found to rely substantially on information or advice sourced from outside mainstream medical practice such as the internet, friends or alternative practitioners, rather than consulting a doctor for a medically-based diagnosis. About three quarters of the people who reported avoiding dairy foods due to specific symptoms did not avoid all dairy foods – most commonly avoided foods for people who only avoided some dairy foods were milk, cheese and cream. These results follow the team’s similar findings on wheat avoidance, which showed around ten times more Australians than those diagnosed with coeliac disease are avoiding wheat-based foods. This study reveals that even more people are avoiding dairy products and, in fact, that around one third of the respondents avoiding dairy foods are also avoiding wheat-based foods. The self-prescribed nature of dairy (and wheat) avoidance presents us with questions regarding the accuracy of self-diagnosis and the potential for misattribution of symptoms. Most significantly, the findings are further evidence of a widespread tendency of people to seek and exercise control over their health by eliminating dietary factors without medical evidence or oversight. The self-prescribed nature of dairy (and wheat) avoidance presents us with questions regarding the accuracy of self-diagnosis and the potential for misattribution of symptoms. Most significantly, the findings are further evidence of a widespread tendency of people to seek and exercise control over their health by eliminating dietary factors without medical evidence or oversight. However, regardless of whether or not individuals are correct in identifying dairy products as the cause of their symptoms, we face the prospect of a health-motivated reduction in dairy consumption. Without replacement with other foods that are appropriately nutritious, the risk increases for reduced consumption of essential nutrients, including calcium, protein, iodine, vitamin A, riboflavin, vitamin B12 and zinc. Avoiding dairy (and wheat) to alleviate symptoms should be weighed against the consequences of healthy levels of consumption of important food groups. Given the apparent scale of the avoidance behaviour, these consequences can be significant for society in the long term. To find out more about the survey, visit our website. This survey has been co-funded by CSIRO and The Grains Research and Development Corporation. The Grains Research and Development Corporation had no involvement in the study, data collection, or publication. The Australian Dietary Guidelines is the ultimate guide of what we should be eating, and they state that so long as we are all eating either enough dairy foods or dairy alternatives, our calcium intake should be sufficient. Looking back over the last 50 years, since I started taking notice. I notice that “Butter” was no good for you, then it was, then it wasn’t. Then “Honey” was out , then in, then out now in again. Sugar was out, but then that was only White Sugar, Brown or Raw was OK. It still had the goodness from the toads & little stinky Black beetles in it. Red Meat, in & out & in again.Jojoba was good then it wasn’t. The List is endless. I suppose it all depends on who’s writing up the Story for the week. Are they in Marketing, Vegans, Carnivores, Greenies, etc,. ?Doesn’t it? It took me 15 years to find out that I was lactose intolerant and this despite the fact that I consulted several times my GP over a period of several years. The fact was that he did not even think that my digestive problems were related to lactose intolerance, I worked it out myself with “trial and error” removing food groups from my diet. Not all doctors are aware. In addition, consuming dairy products (or gluten for that matter) is not natural for humans, it’s been introduced to our diet recently in our evolution. Now we consume huge amounts of those because the agricultural production is geared towards those products. Its a matter of economy and industrial complex profitability. Humans are not calves, we don’t need cow’s milk to grow and survive. Essential nutrients, including calcium, protein, iodine, vitamin A, riboflavin, vitamin B12 and zinc can be found in a diversified sources of nuts, cereals, fruit and plants. Thank you. I cannot believe that CSIRO is promoting such a one-sided argument. Especially on such a controversial issue as nutrition. Could not agree more, Serge. No mention in the article of evidence that these food groups are actually necessary, as they are not. They are an optional source of the nutrients you mentioned and not the best one from a health, moral or environmental standpoint. Well said, Serge. You said everything I was thinking but was too annoyed to articulate properly. Since when do we need to drink cows milk? We can consume appropriate levels of nutrients through other sources like seeds, beans and vegetables, what’s all the concern about? How about instead of trying to make people drink milk they should just be properly advised on how to make sure they’re getting enough from other sources. A Swedish study confirmed that Swedish women who consumed large quantities of dairy milk daily were more likely to sustain fractures than those who drank little to no milk.